At first teddsta formerly DrSuperSock has published his game engine in Go using SFML, but given that he hasn’t gotten any feedback, he decided to change the topic and rather promote his rewrite of SFML’s graphics module in Go. I don’t have any experience with Go, thus you might want to check it out on your own. Don’t forget to leave a comment on his forum thread! SuperV1234 is at it again. Most of you will probably remember Open Hexagon, quite a good clone of Super Hexagon, but with a lot of uniqueness to it. The same author is now working on a remake of Operation: Carnage, an old arcade game originally published by Beaucomm Interactive and is a top-down shooter game with bullet-hell elements. For SuperV1234 Operation Carnega was one if not the one favorite game , but he seems to have noticed some designs flaw of the original game, which he’s trying to solve in his own version. Everything step of development is documented with a dev vlog. Personally I’m not so much a fan of the given genre, but I’m totally amazed at the pace SuperV1234 is progressing in those past few weeks. He’s using the TIG Forums for detailed development descriptions and if you want to see what he’s been doing, make sure to subscribe to his YouTube channel, otherwise you can also just keep checking his forum post. Did you have enough of particle systems last week? Well hold on, we just got another one this morning. ChronicRat didn’t give much information in the project’s forum thread, but from the video description it seems he’s using wxWidget and SFML and even without optimization it runs apparently quite nicely. Let’s hope he will keep us updated on his future development. Tiled is getting more popular week by week, will be interesting to see if people switch once the Crystal Toolset comes out. Epiplon has written a tmx – the map format of Tiled – loader in C# for SFML. Since I don’t use C#, I haven’t taken a look at it, thus we need you C# users to test it and comment on the forum about possible issues. The source code is available on GitHub, which also has a wiki entry on how to use the loader. Currently the library is licensed under GPL, but given the discussion with zsbzsb the author might change his mind. 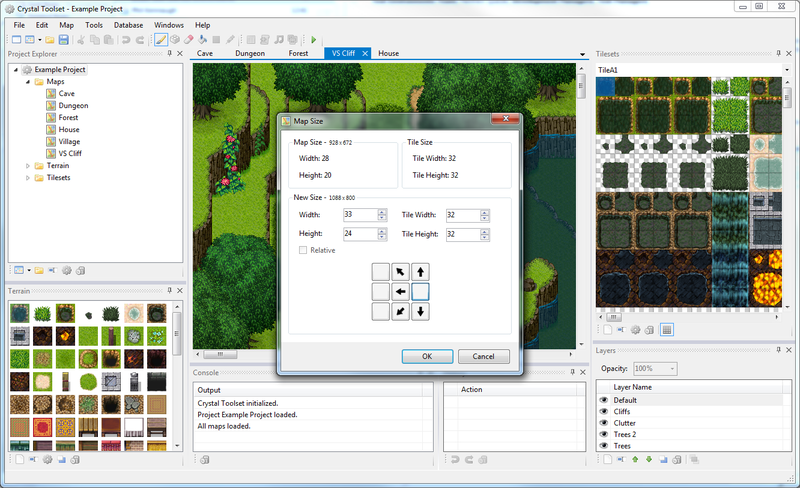 Some of you might remember this awesome looking tile based map editor. The map editor seems to have finally gotten a name “Crystal Toolset”, which is most likely a reference to his game Crystalshire. Robin has been mainly making improvements and fleshing out parts of the existing features. But he also took quite a bit of his time to implement a way to resize the map in all directions, which means that regardless where you started creating your map from, you’ve always the chance to add more space above, below, left or right. Unfortunately though he hasn’t released an alpha/beta version of it yet, so I didn’t have a chance to test it. 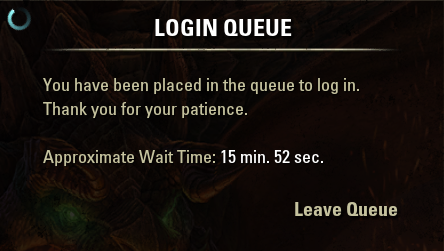 Maybe with the next update? You can at least follow his earlier development on the forum. Nope, we’re not yet done with Tiled! fallhan has updated his version of the Tiled Map Loader to reflect some suggestions made on IRC. You can get some more details on the changes in his blog post and he might open a thread of his own on the SFML forum to see what people have been doing so far with his library. I hope some of you remember the project Chesster which I presented in my last post – also known as the awesome looking puzzle game. They are trying to push for Greenlight and in preparation to this, they setup a small website – go check it out! I nearly forgot to mention that Zloxx 2.2 got finally released. It features various changes of which the most obvious is nicer graphics and for all our Linux users out there, Linux x64 binaries! Shortly after the release Nexus changed his website and it’s still looking awesome or maybe even more awesome than before? You can get Zloxx II from there as well. For a detailed change log see the forum thread. It’s too bad Zloxx hasn’t gotten as much attention in the past as it deserved, at least now people are looking at it again freshly. Unfortunately the difficulty is for some players still too steep and I can confirm this, it’s not like Jazz Jackrabbit where you can quite easily blast through the map. With Zloxx II you have to think a bit about your actions and move your player in a controlled way to reach all points on the map. SuperV1234 has created a nice topic where everyone who doesn’t want to create a project topic on his own, can post their current progress or small projects they’re working on. SuperV1234 first used it for his project operation bloodshed but now moved to his own thread. It’s a very interesting topic, especially if people start using it more often, because it gives a glimpse at what’s out there that’s actively being worked on. That said, you should definitely go and post an image or video of your own projects! Have you ever wanted to change the audio capture device in SFML? I haven’t (yet), but the more useful features that are within the scope of SFML the better, right? Foaly seems to want to switch the device and thus started to investigate on how one would do this. Well actually he already has parts of the implementation and is now asking for help getting everything ironed out to Laurent’s liking. If you’re interested in this feature or just want to see SFML code creation in progress feel free to visit the corresponding forum thread. As you (hopefully) all know, I’m maintaining Nightly Builds for SFML and Thor, but with the most recent update, I’ve added CSFML to the list. Even though CSFML is a C library and thus would only need to be built once, I’m maintaining builds for all my supported compilers. Since CSFML depends on SFML, I’m using the static Nighly Builds with static runtime lib. As of writing this news entry the SFML Nightly Builds are five commits behind, but they only fix compiler warnings and a Linux related issue, while the Thor builds are one commit behind with only changes in the documentation comments. I’m thinking about creating builds for Visual Studio 2013 RC, but I’m not sure yet. Minor stylistic changes, such as removing trailing spaces or updating the year references. He also changed some XCode template issue. Thanks to MarioLiebisch the SFML window now activates itself again when you click inside the window. For Linux setSize should work again without having to specify Style::Resize. Laurent fixed some compiler warnings as well and removed support for Windows 95/98 (did anyone still that?). I hope you enjoyed yet another SFML News post! For some self-promotion, I’ve created a new website on the main domain. My goal is to put all my finish or semi-finished projects up there, so I’ve finally a central place to all that stuff, but I guess it’s going to take a while till that happens. As always: Interesting and nicely written. It really helps staying up-to-date without having to read the forums every day. Cheers! I was really looking forward to the continuation. Really good and informative enough. I appreciate your work. Thank you! On the picture you have slightly stony smile. You look ok and nice, but he wants to relax a little. Of course, no hard feelings, I have it too.